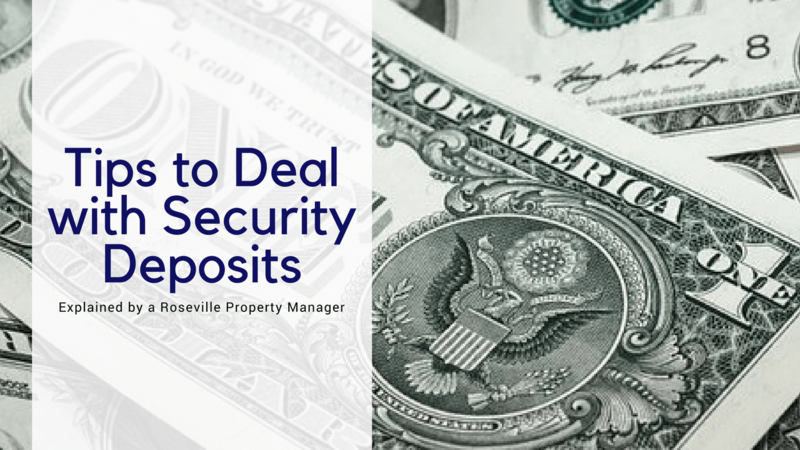 Disputes can easily arise between Roseville landlords and tenants when it’s time to return – or hold – a security deposit after a tenant moves out of a property. California law has strict regulations that govern how a security deposit is collected, held, and distributed. Make sure you understand the expectations of the California Department of Consumer Affairs. Avoid security deposit problems by following these tips. Tenants are legally required to a preliminary inspection between the time that they give notice and move out. Walk through the property with the tenant and advise them about the things they need to clean, fix, or replace in order to get their security deposit back. Tenants might decline this inspection, but you still need to offer it. After your tenants move out, walk through the property and inspect it thoroughly. You can determine what, if any, damage was done. Document everything that you find, and take pictures. You should have done a move-in inspection before the tenants took possession, and this is your opportunity to compare the condition of the home at move-in and move-out. Remember that you can only charge the deposit for damaged items. Wear and tear is expected and cannot be charged to the tenant. If there is no damage, return the security deposit promptly to the tenant. If you do need to withhold money, provide the tenant with an itemized statement. Follow the guidelines provided by the California Department of Consumer Affairs. Include copies of receipts and invoices that reflect the work that was done. Don’t use the deposit to repair damages that existed before the tenant moved in or to make cosmetic but unnecessary upgrades. You need to send your tenant the itemized statement within 21 days of the tenant moving out. That statement should include any part of the deposit that isn’t used for repairing damages. Be prompt when you’re returning the tenant’s money, and send it through certified mail so you can document that it was received. It’s easy to make a mistake with security deposits, but those mistakes can put you at risk. If you’re taken to court, you could be ordered to refund the full deposit and pay additional punitive damages because you didn’t follow the right procedures. If you have any questions about security deposits or property management in Roseville, please contact us at Sunburst Properties. We offer professional property management in Roseville, Folsom, Citrus Heights, Rocklin, Granite Bay, Sacramento and the surrounding areas.